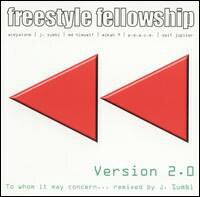 As requested, the remixed version 2.0 of the classic To Whom It May Concern album from The Freestyle Fellowship. I wasn't a big fan of this album when it was initially released, mainly because the original album was so amazing. Over time this album has grown on me.